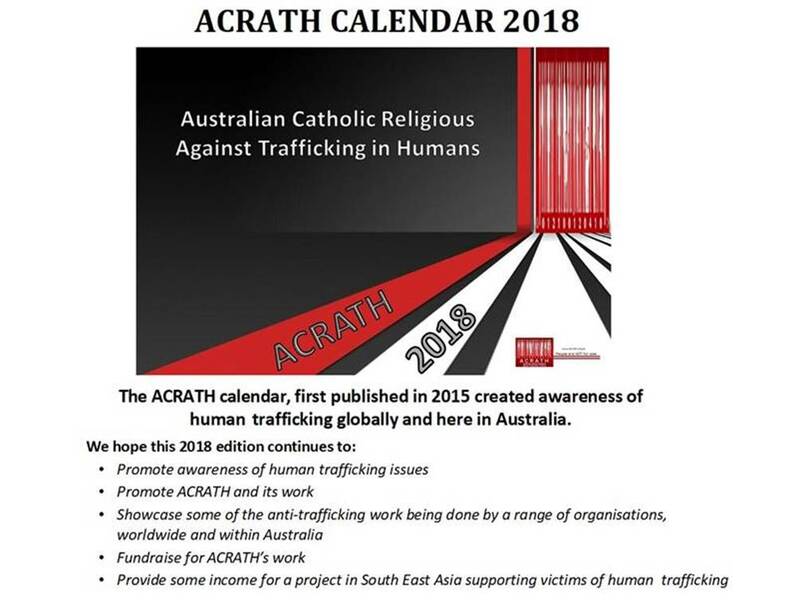 Australian Catholic Religious Against Trafficking in Humans are promoting the sale of their 2018 calendar. Funds raised from the sale of these calendars support the work of ACRATH as well as providing some income for a project in South East Asia which supports victims of human trafficking. (Brigidine Sisters in Australia are both active members and supporters of ACRATH). These calendars would make an ideal Christmas gift for friends, families, supporters and colleagues of Brigidine Sisters. To receive your ACRATH 2018 calendar in time for Christmas and the New Year, please order via https://acrath.org.au/ or contact 0408 566 750.